Since 1858, Wajax has been serving major Canadian industries as one of the nation’s leading industrial products and services providers. 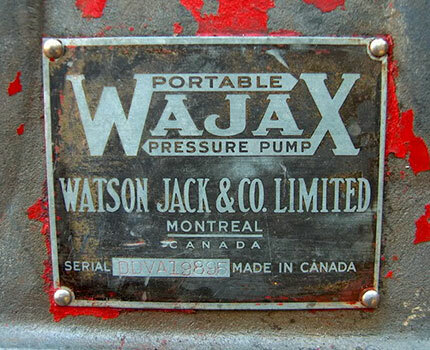 Wajax is one of the oldest businesses in Canada and has played an active role in the development of the country’s infrastructure. The roots trace back to 1858 when B.J. Coghlin opened a blacksmith shop in Montreal. The smithy operation in due course gave way to the manufacture of springs for carriages and later for railcars. Coghlin’s business continued to grow steadily and in 1954 it acquired its first mobile equipment subsidiary – a manufacturer of portable pressure pumps by Watson Jack & Co. Limited. With that the brand “Wajax” was born. Significant diversifications occurred in 1968 and 1978, respectively, when the first Power Systems and Industrial Components businesses were acquired. Since 1978 the company has continued to expand and acquire additional and highly specialized companies to service the construction, industrial/commercial, transportation, the oil sands, forestry, oil and gas, metal processing, and mining market sectors. Over the past 160 years Wajax has been serving the industries and people that have helped to build our nation. We are proud of our sales and service excellence and the world-class brands and products that we provide. But more importantly, we’re proud of the relationships we’ve cultivated with our customers, vendors and within our Wajax team. 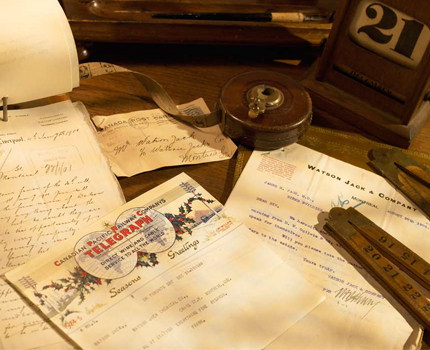 Without those, we would not be the successful organization we are today.